More than 200 Mini Maker fans took home kites on Saturday! We’ll be making more from 10am to 6pm Sunday June 9th, come on by! 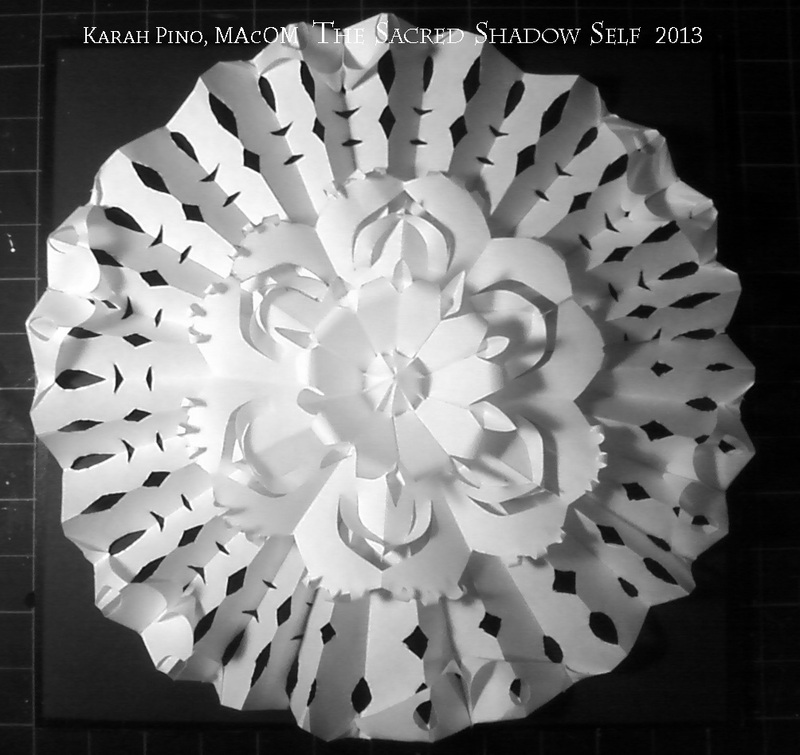 Like Seattle, WA Origami Teacher – Karah Pino on Facebook! 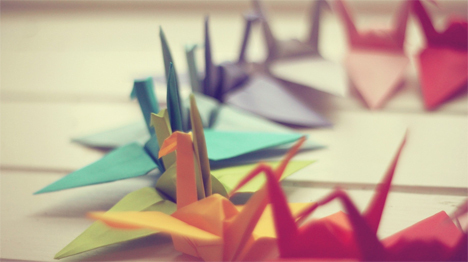 To many of us, origami, the ancient Japanese art of paper-folding, is an artistic novelty, resulting in a cute miniature crane, frog, elephant or even a boat or a box. But, according to origami master Robert Lang, the algorithms and theorems of origami design have illuminated long-standing mathematical questions and have even solved practical engineering problems. 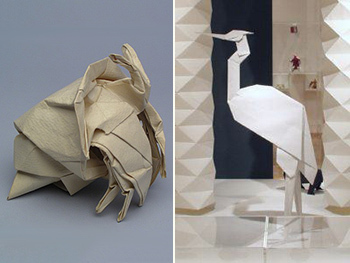 Lang, who is recognized as one of the foremost origami artists in the world, as well as a pioneer in computational origami and the development of formal design algorithms for folding, will give a free public talk, From Flapping Birds to Space Telescopes: the Modern Science of Origami from 2 to 3:30 p.m., May 22 in Geisel Library’s Science & Engineering Events Room. The lecture is the last in a series of origami-related events–which included origami instruction and screenings of the documentary Between the Folds–sponsored during spring quarter by UC San Diego’s Science & Engineering Library. At his talk, Lang, who holds a Ph.D. in Applied Physics from Caltech, will discuss the techniques used in mathematical origami design–ranging from the abstruse to the highly approachable–and will describe how geometric concepts led to the solution of a broad class of origami folding problems – specifically, the problem of efficiently folding a shape with an arbitrary number and arrangement of flaps. This paved the way for origami designs of mind-blowing complexity and realism, some of which will be examined during Lang’s lecture. As often happens in mathematics, theory originally developed for its own sake has led to some surprising practical applications, including safer airbags, said Lang. 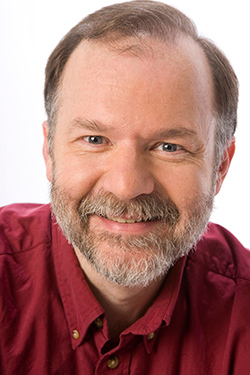 While working at NASA/Jet Propulsion Laboratory, Spectra Diode Laboratories, and JDS Uniphase, Lang authored or co-authored over 80 papers and 45 patents on lasers and optoelectronics and has authored, co-authored, or edited 14 books and a CD-ROM on origami. He is a full-time artist and consultant on origami and its applications to engineering problems but keeps his toes in the world of scientific publishing, most recently as the editor-in-chief of the IEEE Journal of Quantum Electronics from 2007–2010. Lang received Caltech’s highest honor, the Distinguished Alumni Award, in 2009 and in 2013 was elected as one of the inaugural Fellows of the American Mathematical Society. After his lecture, which will include light refreshments, Lang will be on hand to sign copies of his books, two of which–Origami in Action and Origami Design Secrets will be available for purchase. This event is supported by funding from IEEE (Institute of Electrical and Electronics Engineers). 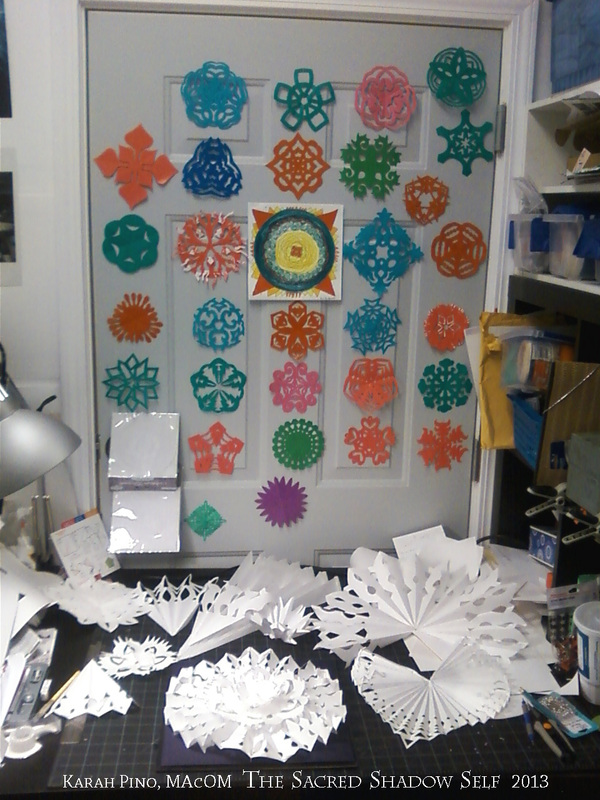 For more information: http://libguides.ucsd.edu/origami. To register for Lang’s lecture: http://tinyurl.com/lang-lecture-reg. 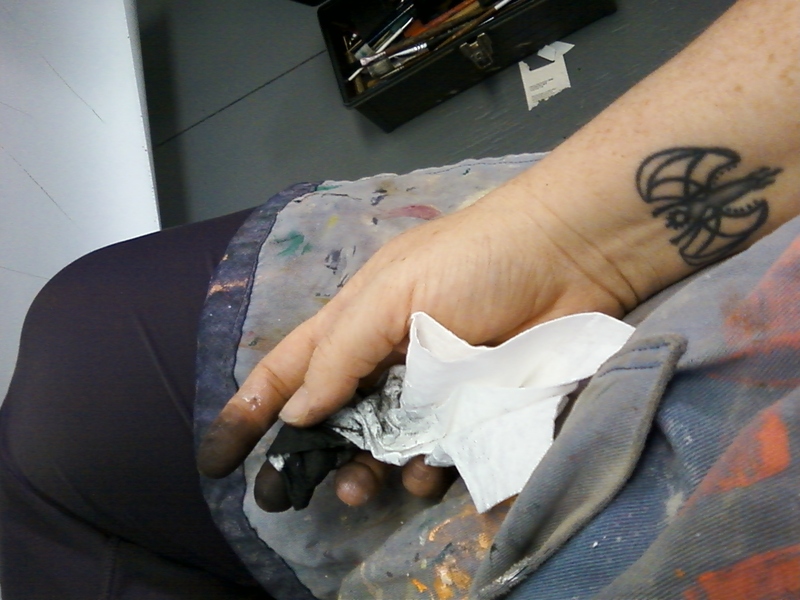 I’m not sure why I insist on using my fingers when working with charcole…they always crack and bleed, but I am getting more savvy about using a Chamois…or paper towel in this case. 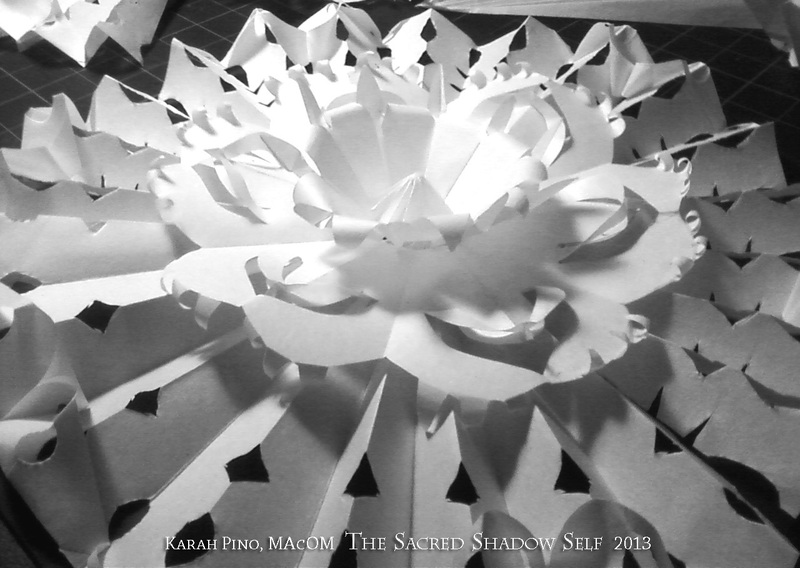 — at Sacred Shadow Studio for the Mind Unwind June Exhibit. “Vitalize the Mind” wall panels are 60″inch by 8 feet panels based on a Taoist Talisman from the 7th century. The two panels will be flanking a permanent meditator carved from a column of light and the shadow created by it on the wall.. Still need to figure out how to make the wall panels movable so the doors they will be hiding can be accessed easily. Take a structure, strip away all of the non-essentials, and squeeze out every last unused bit of air space, and what do you get? Something a lot like a folded sheet of paper. 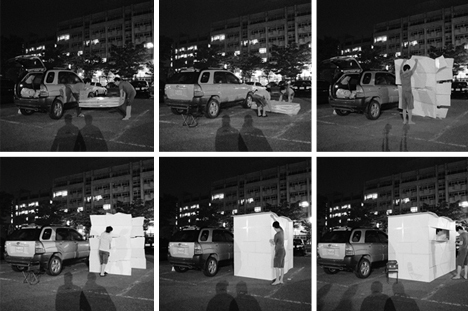 This folding shelter designed by Doowon Suh is as elementary as it gets – a series of sheets that unfold like origami to form a robust but basic building. Like nesting paper cranes, in its most compact form, each module can be stacked on its siblings, making it easy to pack and ship in containers or store until deployed. 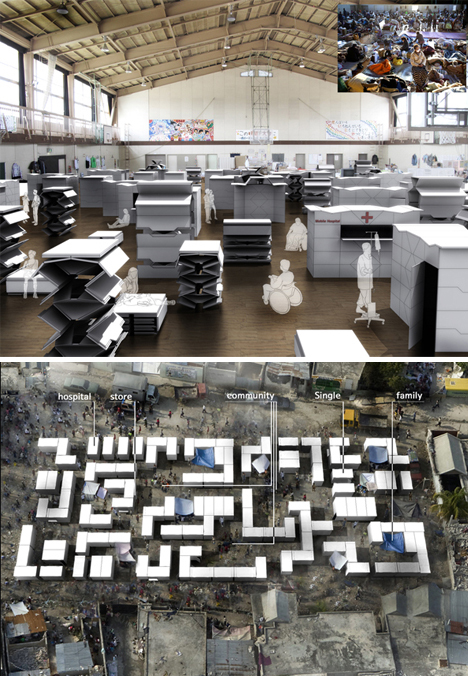 The modules are bare bones for maximum adaptive capability – they can emergency homes or hospital pods, temporary stores or community rooms. 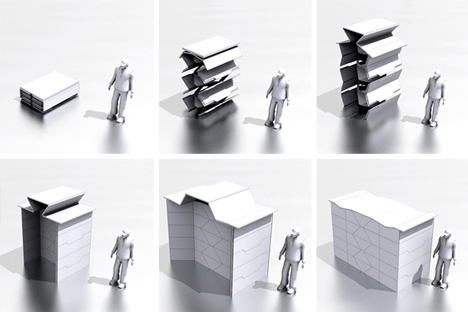 via Origami Shelter: Instant Flat-Pack Architecture on Demand | WebUrbanist.